Greece's conventional long form name is "Hellenic Republic", and it's capital city is Athens. Greece's form of government is parliamentary republic and it gained independence in 1830. 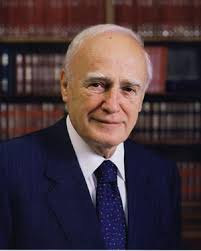 Greece's national holiday is Independence day on March 25th and the chief of state is President Karolos PAPOULIAS. 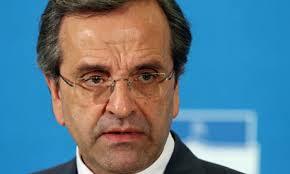 The head of government in Greece is Prime Minister Antonis SAMARAS. The executive branch in Greece is similar to that of the United states. The president serves a five year term and and appoints officials to high ranking positions. The legislative branch of Greece contains 300 members and new members are elected by a popular vote within the members. All of the members serve a four year term. The judicial branch of Greece is similar to that of the United state's Judicial system. There are 56 judges, and new members join by being appointed by the judges. The citizens of Greece are allowed to vote at the ripe age of 18 years old. Greece's ambassador that is in the U.S is Christos P. PANAGOPOULOUS and the embassy is located at 2217 Massachusetts Avenue NW, Washington, DC 20008. Greece's consulates are in Atlana, Houston, and New orleans. The U.S ambassador to them is David.D Pearce and the U.S embassy is located at 91 Vasillisis Sophias Avenue, 10160 Athens. The consulate there is at Thessaloniki and their representative is Michel Spinellis. 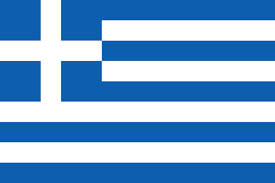 The Greek flag symbolizes Greek orthodoxy which is the national religion of Greece. Greece's national symbol is the Greek cross which is blue and white. China's long form name is "The people's republic of China" and the capital city is Beijing. China's form of government is communism and China gained independence in 1949. China's national holiday is "The anniversary of the founding of the people's republic of China" on October 1st. 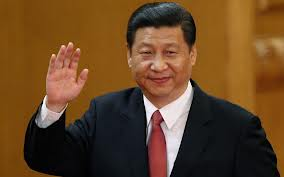 The chief of state of China is XI Jinping and the head of government is LI Qekiang. The executive branch is made up of the Cabinet, a head of government, and a chief of state. The cabinet is elected by the national peoples's republic congress. 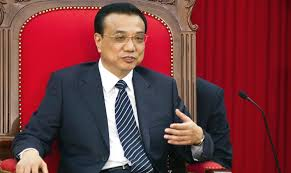 The president serves a five year term and is elected by the national people's congress. The legislative branch is made up of 2,987 seat and is elected via the people's congress. Members of the branch serve a five year term. The judicial branch consists of the Supreme people's court with over 340 judges that serve five year terms. The judges are appointed by the Congress and there are other courts under the supreme court. The citizens of China are allowed to vote at the age of eighteen years old. China's ambassador that is located in the U.S is Cui Tiankai and the chinese embassy is located on the adress: 3505 international place NW, Washington D.C, 20008. China's consulates are Chicago, Houston, Los Angeles, New York, and San francisco. The U.S embassador is Gary Locke and the embassy is located on 55 An Jia Lou Lu, 100600 Beijing. The U.S consulates are Chengdu, Guangzhou, Shanghai, Shenyang, and Wuhan. China's reprsentative for the U.N is Li Baodong. 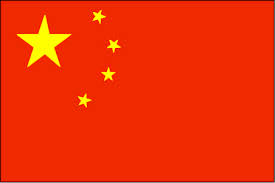 The chinese flag symbolizes the four social classes within China and China's national symbols is the dragon.